We have been serving the local areas of PA, WV, Ohio, and Maryland since 2004, and we are the most complete scuba diving outfitter in the area. We carry a full line of scuba and snorkeling gear, in addition to our tech gear. 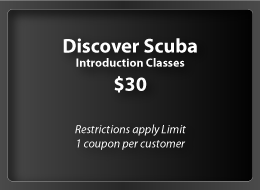 Here at Dive World, we make scuba diving certifications fast, fun, and convenient for our customers. 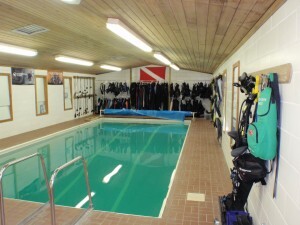 Diving Lessons are done on-site with our custom indoor heated pool for all season convenience, along with our 110 acre 60 foot deep lake, makes getting certified a very easy and simple task. All classes are private to semi-private, in order to meet your scheduling needs. Try before you buy is our motto here at Dive World. Scuba gear needs to fit properly and be very comfortable, so that you can enjoy every minute that you are underwater and with the on-site pool, you have the ability to test drive the gear of your interest. No other stores do that. So give us a call and schedule an experience that will last a life time. We carry a full line of scuba and snorkeling gear, in addition to our Tech Gear. Here at Dive World, we make scuba diving certifications fast fun and convenient for our customers.